During development and testing, you would like to set the WP_FS__DEV_MODE constant to true in order to display the Freemius Debug menu item. Simply add define( 'WP_FS__DEV_MODE', true ); to your dev environment’s wp-config.php. 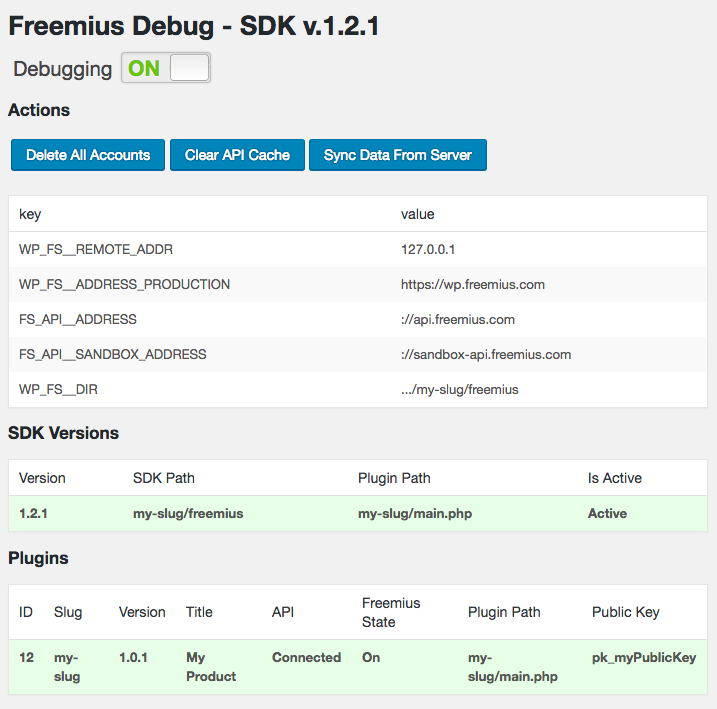 You can access Freemius Debug page directly via path.to.my/wp/wp-admin/admin.php?page=freemius to get information about the active SDK, Freemius powered plugins on the site, users and more. When WP_FS__DEV_MODE is set to true it will automatically activate the logger. 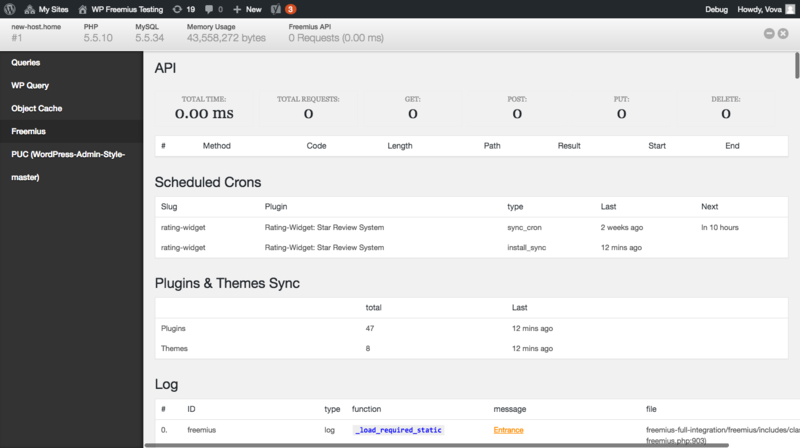 The logger will then output all of the logs into your browser’s debugging console. If aren’t using Debug Bar, you can optionally output all of the logs to the screen by adding &fs_dbg_echo=true to the query string. Security Tip: Adding fs_dbg_echo=true to the querystring will only work when Freemius is set into development mode. Therefore, websites that are using your product are not in risk of exposing the logs unless an admin sets WP_FS__DEV_MODE to true or manually turn on the debugging switch in the Freemius Debug page.